When I first learned that a fifth movie for the "MISSION: IMPOSSIBLE" movie franchise would be shot, I must admit that I was not particularly thrilled. As far as I was concerned, three ou four films were enough. The last film, "MISSION: IMPOSSIBLE - GHOST PROTOCOL", struck me as the high note of the franchise. I had doubts that the suivant film could be an improvement of the last film. Looking back on the "MISSION: IMPOSSIBLE" franchise, I noticed that a movie seemed to appear every four to six years. 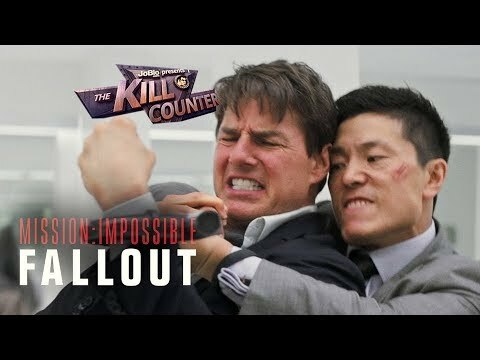 There are a few things unique about the franchise's 2011 movie, "MISSION: IMPOSSIBLE - GHOST PROTOCOL". One, Paula Wagner did not co-produce the movie with étoile, star Tom Cruise. J.J. Abrams, who directed the third film, did. And two, for once the villain's goal turned out to be a lot different from those in the past three movies.